2 OZ. 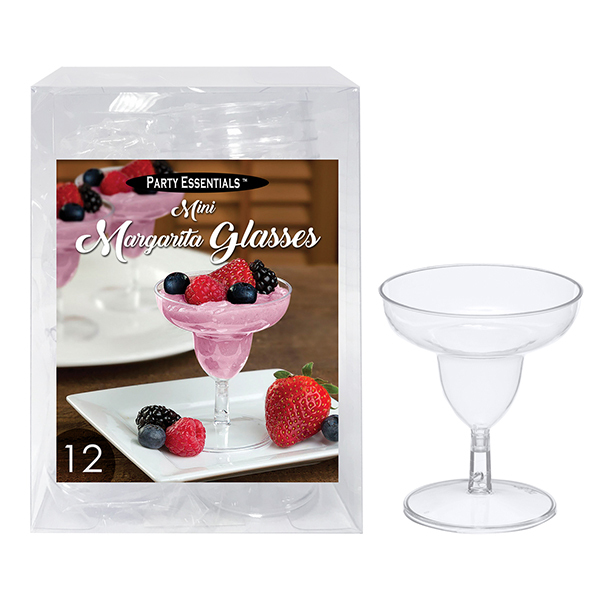 MINI MARGARITA GLASSES – CLEAR 12 CT.
MINI LEAF DISHES – CLEAR 50 CT.
MINI SQUARE DISHES – CLEAR 12 CT.
2 OZ. LIQUEUR/SHERRY GLASSES – CLEAR 20 CT.
MINI TRIANGLE WAVE DISHES – CLEAR 20 CT.
MINI WAVE DISHES – CLEAR 40 CT.
3 OZ. MINI SQUARE FLUTES – CLEAR 6 CT.
MINI RECTANGULAR DISHES – CLEAR 60 CT.
2 OZ. MINI MARTINI GLASSES – CLEAR 12 CT.